Amy Lampo is a consulting actuary with experience in the health care and pension industries. She has been with A.V. Powell & Associates since 1994. In previous positions with a nationally recognized actuarial firm, she conducted actuarial valuations and experience reviews for defined benefit pension plans. Amy is based in our Kansas City, Missouri office and her responsibilities for A.V. POWELL & ASSOCIATES include performing actuarial studies and supporting FORCAST and FINAID software users. 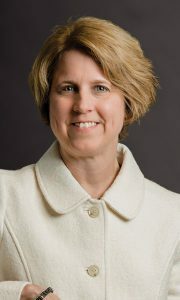 She has led sessions on actuarial techniques for analyzing CCRCs. Amy also assists in research and development of actuarial assumptions and research on the health care utilization of seniors. Developed a model to quantify the risk associated with financial aid subsidies for CCRC residents. Evaluated the long-term care insurance program at a CCRC to assist management in negotiating premium increases and reserve levels with the insurance company. Provided actuarial analysis to fulfill state regulatory requirements to authorize a new CCRC development.